With the kind of evolution going on in the tech world, if your business or career is not powered by ICT (“Information and Communication Technology”), then it is going into extinction already. Only businesses and enterprises that will harness the power of the internet will survive. This shouldn’t be news to you right now if you are abreast with your market and the demands it places on you and on your clients. If you have not, you will need to take a closer look at what you are doing and how ICT can help you do it better. In the hiring and employment industry, one of the simplest ways to stay ahead is to make sure that you can automate all or most of your tasks. Process improvement: Automating your hiring procedures will give you that ingredient of organization that will produce neater hiring procedures both for the applicants and for the hiring managers (or recruiters). A well-coordinated hiring process lends credibility to the firm and helps to land the best hands for the job. Time saving: If you go the way of automation, you will not only have a neater and well-coordinated hiring process, you will also save so much time; time you can invest into making yourself a better professional. Cost saving: This cannot be overemphasized; who wouldn’t smile at the opportunity to cut costs in this cut-throat competitive niche? If you automate your processes, you will need fewer workers to carry out your work and you will have a chance of increasing your net profits by a good margin. A good businessman always has a nose for profit maximization. Before you jump into automating your process, you must realize that your automations are as good as the skills of your personnel. You may need to either equip your current staff to be able to use automation tools through training or retraining; or you may have to replace them with new guys who are better at automated systems. There is no need for sentiments, new processes need new skills and you cannot afford not to have the best hands to manage your system. Automated system failures are always colossal, if you are not going to get capable hands, forget automation! When it comes to the tools you need to automate your hiring process, there are many options out there like StaffingSoft; you can choose exactly what you need based on their unique features. The most important factor here is not the tools itself; it is how suitable the tool is for the kind of skills you are hiring for. Your knowledge of what exactly you are looking for will guide you to choose the best automation tools available. • Flexibility: This defines how much you can adapt the tool to measure and compare different parameters. • Simplicity: A good automated system must be easy to use for both the applicants and the recruiters. • Features: It should have at least the most important features needed for the job. • Smartness: It must be able to do as much as possible as fast as possible, that is smartness. • Accessibility: The best tools are the ones that are most easily accessible to both the applicants and the recruiters. If your tool is automates, anybody anywhere must be able to apply at any time of the day. 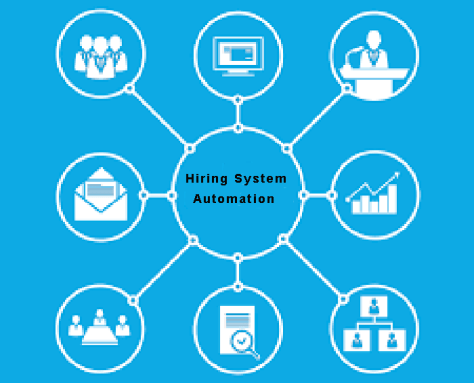 If your system or at least most parts of it is not automated, you cannot stay on top of the recruitment game. Automation is the future of hiring.